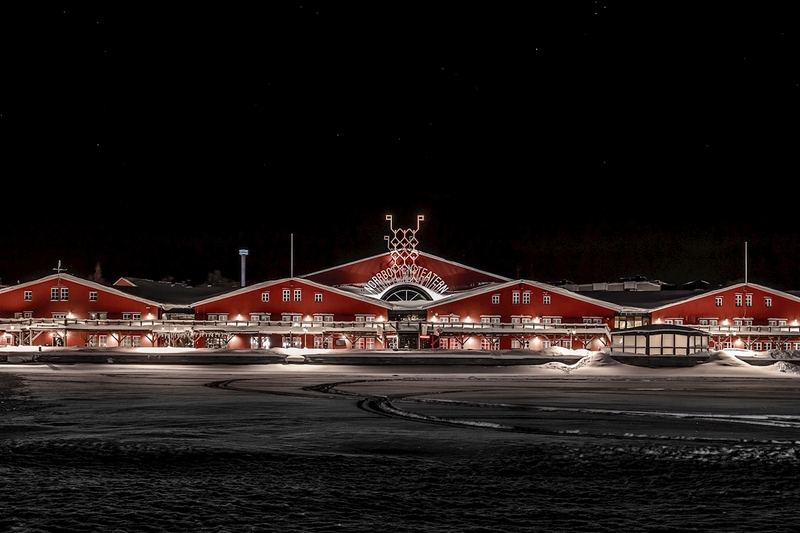 The Norrbotten Theater in Luleå, Sweden. Photographed from the sea ice. Architect: Hans Tirsén.